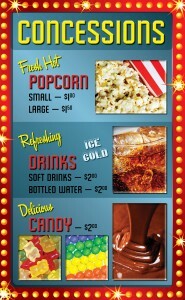 We all know that profits in the movie theater business are at the concession stand. We also know that increasing your average concession sale per customer—your per cap, is a critical function for a theater owner or manager, ranking just above food and shelter. There are multiple methods to achieve this increase. The problem is that some of the methods work, some don’t, and it is not readily apparent which do and which don’t. Two of above work well, three can work OK, and four don’t work. a. For maximum return with minimal damage, ticket and concession prices are best raised together and before a busy season. But don’t hesitate to raise concession prices alone if ticket prices are static but you feel concessions can be bumped up. b. Do not raise concession prices too often—more than once a year, or on every single item. The theory is you don’t want to always seem to be raising prices. c. Keep price increases reasonable; say 5% or 25 to 50 cents. d. Keep in mind the next whole dollar amount; it’s easier to go from $3.25 to $3.75 than from $3.75 to $4.25. 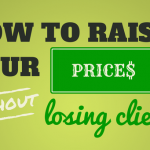 e. Politely ignore customers who say, “Your prices are too high.” Customers always say your prices are too high and they will say this even as you are struggling to meet expenses. When your per cap goes down after a price increase, your prices are too high. f. Err on the side of the smaller price increases as bad PR can be created by reaching the point described above. g. Note your competitor’s prices. For comparison, the largest theater chain in the country, Regal Cinemas, had a chain-wide average concession per cap of $4.16 for 2015. This figure comes from Regal’s 10-K SEC filing for 2015. Well-run smaller theaters should average maybe 10-20% below the chain. Do take into account pricing in your area as well; Regal might average $4.90 in expensive markets while lower priced markets might come in at $3.50. Art theater per caps are perhaps 2/3 of commercial per caps. Finally, all these figures have sales tax backed out. For small to mid-size straight movie theaters — no bar or restaurant, this doesn’t work. You already know and offer the items that sell well and increasing the number you offer for the sake of a wider selection increases spoilage and complicates inventory. Note that I’ve italicized small to mid-size movie theaters and no bar or restaurant because adding more product offerings at large or restaurant/bar theaters can increase sales, but these are different beasts; greater capital investments, higher operating expenses, etc. 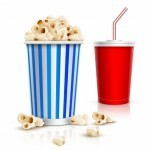 – Medium popcorn & drink or large popcorn & drink. b. Offer a decent discount for buying the combo, at least $1, preferably $2. We’ve already raised the prices from #1, give them a nice break for buying a combo. a. Offer a good discount for a decent sized sale; larger sales with larger discounts are a winner. b. Track coupon redemption in your POS, otherwise you have no idea if they’re working. 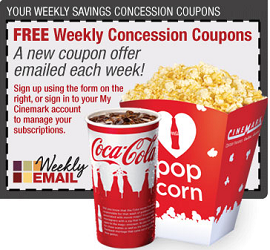 c. Consider limiting concession coupon to Sun-Thurs, but don’t feel you must limit to off-peak. I personally don’t like limited coupons, but the spreadsheet indicates it makes sense to limit. d. Most coupons are emailed with a bar code, but you can hand out to your customers as they exit. Print the offer big and bold and have a trash can ten feet down their walk path. If more than, say, 25% are in the trash your offer is not good enough. e. If customers manage to get hold of the coupon from above on entry, just let it happen and don’t beat them up. It’s still a good sale. Doesn’t work, customers should have to work a little for discounts and this just gives them a discount for no effort. A better strategy is to have a discount ticket night, keep concession prices where they are and offer coupons, combos, etc. This would work if you could do it, but you pretty much can’t. I’m assuming you’re already buying at the best price you can, being careful with spoilage on high cost items like baked goods and chocolate and keeping track of inventory. As a guide, your cost of goods for concessions should be 16-20% of sales; major circuits run 12-14%. This can work but only if your current signage stinks. Signage must be easy to read and clear. The clear is where theater operators can miss the boat. They look at their sign every day and they think it’s clear, but then customers ask the same question over and over or spend 20 seconds figuring out what they want. That’s no good. 75% of customers should be able to look and find what they want in 3 seconds or less. So don’t look at your sign to see if it stinks, look and listen to your customers looking at your sign. Finally, if you do have problems with your signage, consider consulting a sign professional. Signs are a specialty skill and the fact that you have sign software or did your Aunt Tilly’s signs at her organic egg market does not make you a good sign designer. This paradoxically doesn’t work. You sure would think that having a shorter line would help concession sales, but studies show that it does not help, or increases sales only very minimally. People will wait in line. One theory of food lines even says the opposite; if the line is long, then the product is more desirable—kind of a herd mentality thing. The best advice is to staff according to what feels right and doesn’t create a line that is outrageously long or slow moving. This works. A few caveats. a. Training. 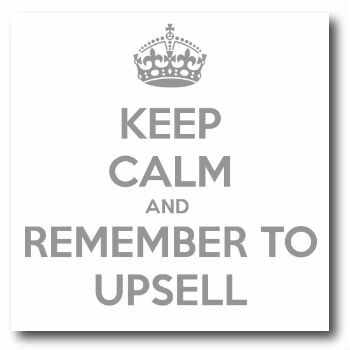 Most employees are not born upsellers and they need training and managers that show by example how to upsell correctly and politely. b. To start: You need your POS to suggest the upsell; you can’t expect employees to remember that when a customer buys a medium popcorn, they can add a drink for $1.75 more. c. The upsell has to offer a good value—similar to a coupon, and should not have the customer adding more than, say, $2. d. You should not program your POS to offer an upsell on every sale. The upsell offer is supposed to make sense and be a little special, no more than half of individual item sales should bring the employee to the upsell screen. e. Most important, managers must lead by example. 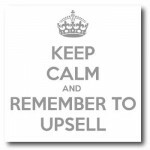 If you don’t, upselling will simply not happen. 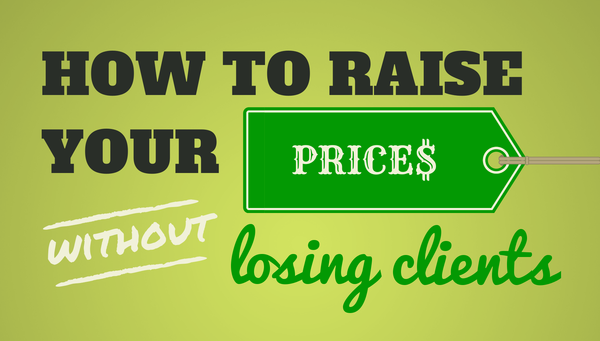 Raise prices when possible and institute an upselling program. Add combos, offer coupons, and improve signage. Suppose someone told you that the tallest mountain in the world, Everest, was 29,000 feet tall? Would that impress you? Probably not. The speaker’s knowledge of mountains sounds vague because the height sounds like an estimate. But what if they said that Everest was 29,002 feet tall? The credibility of the speaker is enhanced because the figure is exact. The first modern height of Everest was made in 1856 by Andrew Waugh using data from the great Trigonometric Survey of India (1802-1857). Using the best tools of the day, dozens of measurements were averaged together to come up with a final figure of… exactly 29,000 feet. 1. Be exact with cash. Your managers should not have mis-counts that are discovered at the bank, be in the habit of rounding to the nearest $1, leave tills for the next manager that are not what they should be, etc. The tills should be say, $200, and the bag drop should be, say, $2,482.75. Exactly. Amounts different from your POS should be explained as best as is possible. Differences do and SHOULD occur. Any manager who is always, always perfect with their cash must be fudging. And you as owner or general manager should look at how much each manager is off every week or month. Not to accuse, but to know who’s good, who’s too good, and who needs improving. Good cash management should result in a maximum error of one-tenth of one percent vs. what the POS or register says, that’s $10 off per $10,000 of sales. 2. Be exact with inventory. This refers to both ticketing and concession inventory. Ticketing inventory means that if the POS or your reels of tickets show 89 people in the theater, there are 89 people in the theater. A couple off is not unusual due to bathroom breaks, theater hopping, etc., especially in teen movies, but if there are 78 in the theater rather than 89, it’s time to look carefully at the possibilities, 2000 pounds of flesh is not hiding under seats. d. Sold by an employee for the full retail price and the cash put in their pocket. Notice that the product grew legs and walked out the door is not on the list of what could have happened. Over the course of thousands of dollars of concession sales errors do accumulate, but you should be within ½ of one per cent accounted for, that’s $50 off per $10,000 of sales. 3. Be exact with Labor. Your employees should punch in and out on time according to a posted, emailed, or online schedule. Work to the nearest 15 minutes. If your first evening shows on a Saturday are at 6:45, then the three evening employees coming in should punch in at, say, one at 5:45 and two at 6:00. Same with punch outs. Last shows at 9:30 might mean all except your closer clean up and punch out by 10:15. If three non-manager employees Mon-Thu and six non-manager employees Fri-Sun punch in 15 minutes early and leave 15 minutes late, that’s $140 extra spent per week on labor, matching social security, and workmen’s comp. That’s $602 per month. Are you OK with taking six one-hundred dollar bills from your pocket each month and shredding them? Give employees a little room for error; say 5 minutes, but if they are regularly more than 5 minutes early then they should wait to punch-in and if they are regularly more than 5 minutes late then they should be reminded the purpose of the time clock. 4. Be exact with your accounting. Pretend for a moment that you are a state sales tax auditor and have been sent by your state’s revenue department to audit the theater’s sales tax payments. Standard practice when auditing small business sales tax is to audit for a three year period, but only do a detailed analysis of six months to one year chosen at random. The amount of error is then multiplied by six or three, unless the owner wants the auditor to hunker down and do the whole three years in detail. Guess which option most owners choose!? You as an auditor will want to work directly from reports that are generated by the point-of-sale computer or a cash register. 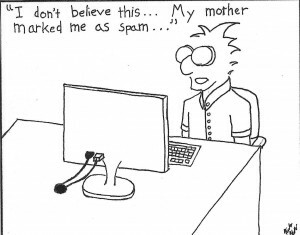 You will be suspicious of handwritten box reports or Excel spreadsheets that were produced downstream from original sales records. OK, now stop pretending and start worrying. Will your tax payments match what the POS, cash register or original paper reports generate? Are you correctly backing the tax out** of the round figure that you are charging the customer? The auditor will probably want to glance at your operation in action—especially the cash part. Does everything look and feel right? That means cash doesn’t go anywhere other than the register and, preferably, sales don’t take place other than at the stand or box office. Look at your operation with outside eyes. ** Call me on this if unsure of the detail here. There are more audit strategies than this, but no worries if everything is on the up-and-up. Final sales tax thought. Are you paying the use tax (the out-of-state version of sales tax) on items you purchase from small out-of-state vendors that do not file returns in your state? If you aren’t paying the use tax on these purchases on your monthly or quarterly sales tax return, you will be—with penalty and interest—by the end of the audit. 5. Be exact with your picture and sound. The picture should be dead-on in-focus, it should not be striking the masking by more than 1-2” and the port glass should be clean. Easy stuff. Sound can be trickier; the frequencies should be mixed correctly coming from the audio processor so that voices (especially female) are clear and crisp. Your system should be mixed so that when the voices are “right”, the sounds effects are not way too loud. This can be a challenge with action movies; the effects are meant to be loud. Getting the sound right requires a person who knows sound and has a real-time audio analyzer. RTA’s are now available from the App stores, but they still require a good sound guy. Call your local guitar shop if you don’t know a person. Ideally, each movie should be mixed according to the specs that come from the studio, but this almost never works. The specs either don’t sound right on your system and/or you justifiably won’t bother to do it. Get a good local sound guy who drops by your theater now and then and uses those two things on the side of his head to make sure your sound sounds good. 6. Be exact in your whole operation. What does that mean? It means you run a tight ship. Your employees look neat and sharp. Your restrooms are clean. Your theaters are regularly swept and mopped. The popcorn kettle is cleaned as per the manufacturer, not when it gets so gunky it won’t turn. Your critical equipment has service numbers attached to the equipment with a label-maker. The website and phone message are always correct. Details, details, details. If you care, your employees will care. You do this not because you are OCD—though you may be, but because little things add to big things and that gives your theater a tailwind-to-profits. Do things slipshod and you will be fighting a headwind for profits. And the best part?—unlike the movies you show, this is all within your control.